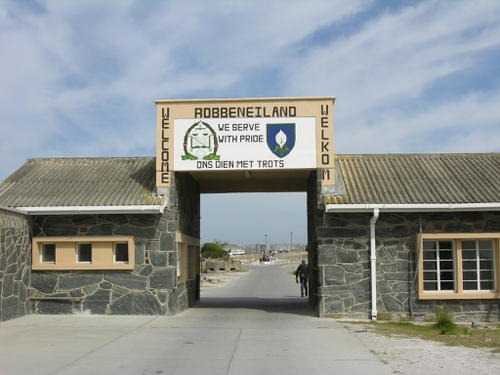 Robben Island was the site of notorious prison in South Africa primarily used to house political prisoners from the 17th century until the 1990s. 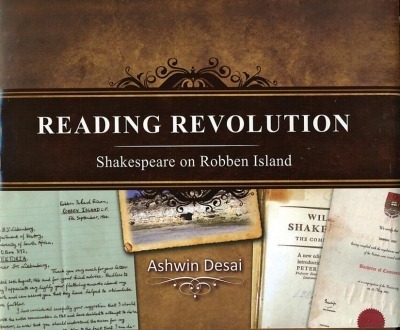 With the decision made, his wife Theresa, now forced to be a single mom of three children in Durban, managed to scrape together the money and buy the book and send it to the island. But as conditions in the prison worsened his book was taken away. Then one Sunday, when services were held at the prison as usual, Robertson, known as the most racist warder on the island, told Sonny to get his Bible. Sonny replied that he had left it in the storeroom. He was allowed inside the storeroom and grabbed his book from the shelf, telling the warder: “See the bible by William Shakespeare.” His audacious plan had worked, but now he had to devise a means of keeping the book in his possession. “I felt guilty that I lied,” he said. 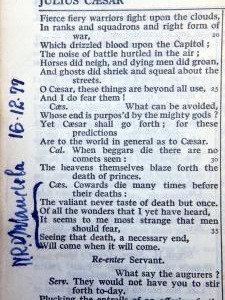 According to Venkatrathnam, by calling it his Bible the warders would not touch it. “The one thing the Afrikaner is scared of is God and a lawyer,” he said with a chuckle. And so the Robben Island “Bible” was born. His fellow inmates then came up with a plan to protect his “bible”. 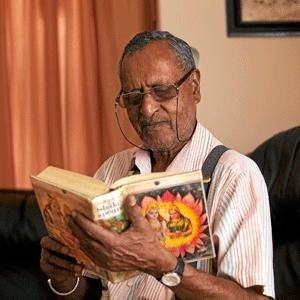 His family, who were Hindu, had sent him Deepavali greeting cards and Venkatrathnam and his inmates covered the “Bible” with the Deepavali cards, depicting Hindu gods, and plastic to disguise it. The book was read by many of the inmates and when he was due to be released Venkatrathnam sent it to his comrades and friends in prison and asked then to sign the passages which they found most meaningful or enjoyed the most. Nelson Mandela, Mac Maharaj, Raymond Mhlaba, Billy Nair, Govan Mbeki, Mobbs Gqirana, JB Vusani, Frank Anthony and Andrew Masondo are among those who signed the book. There are 32 signatures in total. All -who read Shakespeare are content to hear his works described as a Lay Bible, but many pause when it is added that they are not so by chance. Every play, every tale with a plot in it, good or bad, is somebody’s notion of an interweaving of the lives and actions of men and women, with, so far as it has any plot at all, some problem of human life, and in the end somebody’s notion of the way to solve it. The poet Crabbe said that he could read tales of all sorts, good or bad, because somebody’s notion of life must needs be in the worst of them, and this could not fail to supply matter of interest. A dramatist or novelist with a low view of life, may represent a hero or a heroine opposing hate to hate, or even cutting the knot of a story with a trick or lie. His works would not be a Lay Bible. Shakespeare, in his undoubted plays, never allows evil to be overcome with evil; he invariably shows evil overcome with good, the discords of life healed only by man’s love to God and to his neighbour. Love God; Love your Neighbour; Do your Work, making the active business of life subject to the commandments upon which hang all the law and the prophets: Shakespeare’s plays contain no lessons that are not subordinate to these. Of dogmatism he is free, of the true spirit of religion he is full; and it is for this reason that we all agree in feeling that his works are a Lay Bible, however they became so. Thanks so much, Kurk, for the quote by Morley. I have to admit that I am a bit amazed by all of the high quality Shakespeare editions available today for readers. I grew up reading the Harbage “Pelican Shakespeare,” and I remember, even as a teenager, being impressed by its quality, the low price of the volume, and how accessible it made the text. Today, there are quite a few excellent editions of the plays (including the direct successor to the volume I first learned from). I think, in fact, the publishing industry has treated Shakespeare much more nicely than it has treated the English Bible. I also have to say that I think Shakespeare, especially with his often ribald humor, is perfect to present to adolescents. I first seriously began to read Shakespeare when I was an adolescent, and I still continue to benefit from reading, watching, and listening to Shakespeare’s plays and poems. It is also, I must say, fine entertainment — familiarity does not reduce the sheer taut excitement of watching a Shakespeare play. In the last few weeks,I’ve noticed in the last few weeks some really excellent editions of Shakespeare that I would think would make the work quite accessible to teenagers, those who speak English as a second language, and those who may lack exposure to English literature — without watering down or pandering in the text. If I have a chance, I’ll try to highlight some of those in some future posts. True, Shakespeare always presented a model of life — but the view was not always positive. In plays in the middle of his career he often has endings where love and/or justice are overcome by the disintegration of social values. They are disturbing; but a critique of social disintegration should be seen as a positive step. See ‘Shakespeare’s Irrational Endings’ (published next week by Palgrave). Prof. Margolies, thanks for the announcement of your book. I looked at the preview of the volume offered by Amazon and it looks fascinating; I’ve ordered a copy, and hope in due course to be able to post a review. In an NPR story, director Gregory Doran connects his RSC production of Julius Caesar with the Robben Island Shakespeare.